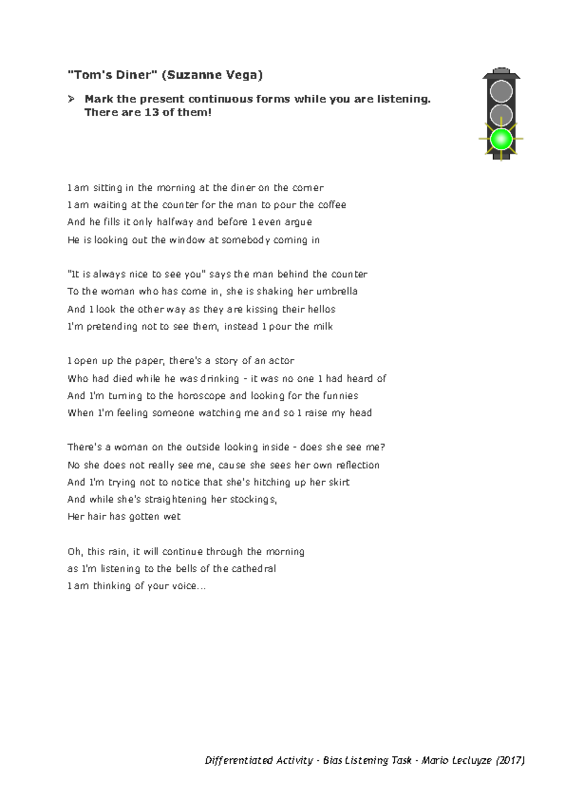 This is a song activity that can be used to practise or/and revise the present continuous tense. Moreover it is a differentiated listening activity for three levels. The levels are indicated with traffic lights: "green" is for less proficient students, "amber" for midlevel learners and "red" for high proficiency ones. They listen to the song (or watch it on YouTube) and do the task they have chosen. Afterwards, in groups of three (a green, amber and red student) they combine their solutions.